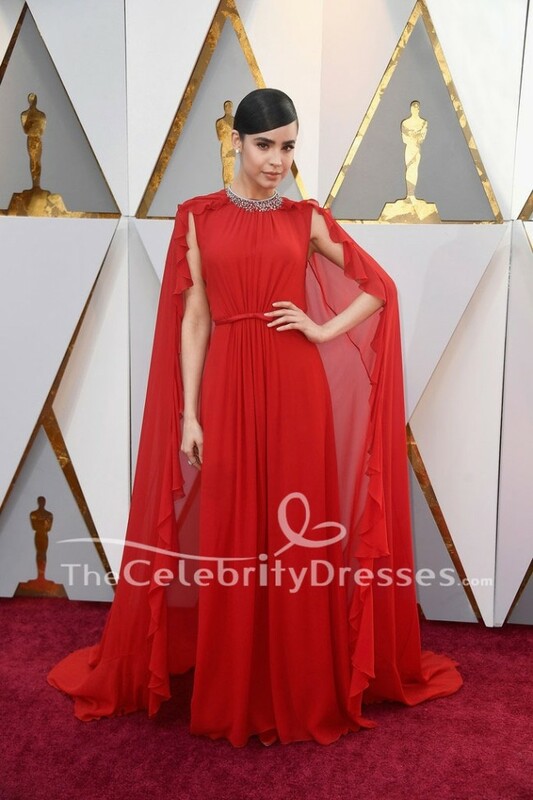 Sofia Carson was one of the first on the red carpet at the 2018 Oscars at the Hollywood & Highland Center on Sunday (March 4) in Hollywood, California. She made a grand entrance in a red gown, which flowed across the carpet thanks to the ruffled cape.She looks AMAZING! A: Dear Awista, Yes we can make the dress with long sleeves with extra US $10.Please include your request in your order comment. You will be able to leave a comment at the last step checking out before making payment. Thank you for contacting us.